Award for the most fun event this week goes to ZSL London Zoo. International conservation charity the Zoological Society of London (ZSL) is calling on those who are proud to prowl naked and asking them to show their support for wildlife and sign up for its Streak for Tigers on Thursday 13 August at ZSL London Zoo. Following the success of the 2013 and 2014 events, cheeky challengers are being called upon to strip off and raise big cash for big cats. The route will take streakers around the heart of the Zoo past some incredible animals. Limited places are available, so sign up quickly at www.zsl.org/streak. This August Bank Holiday the BFI will be holding a selection of sunset screenings at The British Museum. The screenings are a curtain raiser to the BFI’s major blockbuster project LOVE, taking place across the UK this autumn. There will be screenings of romantic classics, A Room with a View (1985), Badlands (1973) and The Princess Bride (1987), screening consecutively from Thursday 27 to Saturday 29 August. For the fourth year running, the BFI will transform the historic grounds of the British Museum and project the films onto a huge, state-of-the-art screen, accompanied by a stellar sound-system. Tickets are priced at £15 each and can be purchased from whatson.bfi.org.uk. On the 12th August the streets at Broadgate’s Exchange Square will be transformed into a heart pounding theatre of cycle sport, which will remain in place until 13th August, when the televised ASDA Street Velodrome Series Super Final will be filmed live. The final will see the fastest members of the public from the regional heats and two Broadgate Wildcards compete to win the series alongside Pro-riders including: Olympic track gold medallist Craig Maclean MBE, and Elite rider and TV presenter Anna Glowinski. Those wishing to see if they are speedy enough for the televised final are invited to have a go then complete a two lap time trial between 10am and 1pm on Thursday 13th August. It’s free to enter and all equipment is provided. If you are not up for joining in the spectators are welcome to come down and watch the action for free, at any point. See the full schedule at www.broadgate.co.uk/streetvelodrome. Summer might be looking well pretty bleak right about now with all the rain, so why not make like it’s holiday weather with Supper Tub. 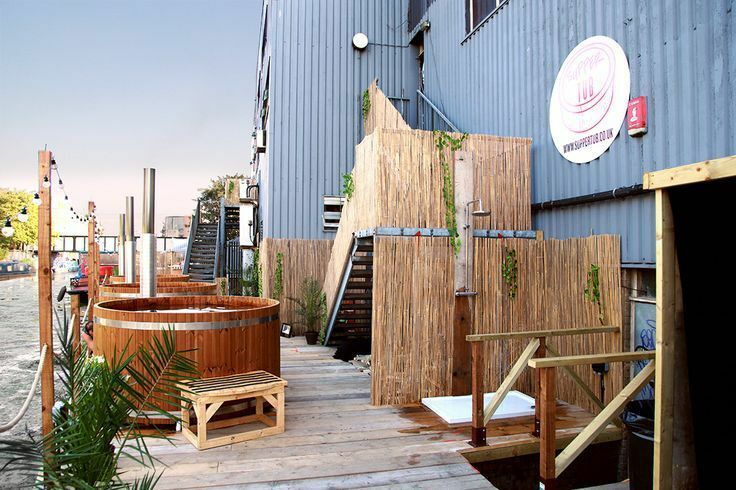 At the canal at the back of Bar 90 in Hackney Wick, hire a whole tub or get a pair of tickets for 2 hours of dipping bliss. Enjoy tub service with food and drink being brought to you with small plates of one-bite Peruvian tapas priced at £3.50-£4.50 each, or enjoy a pre-booked Tapas For Two, including a selection of plates and a pair of welcoming Pisco Sours for £35. It’s selling out quick. Get them now over at www.suppertub.co.uk. One place I have never been inside is Buckingham Palace, but I guess not many people ever get the chance. Last year the Royal Family welcomed more than 62,000 guests to Buckingham Palace, at State Visits, receptions, Garden Parties, Investitures and private audiences. 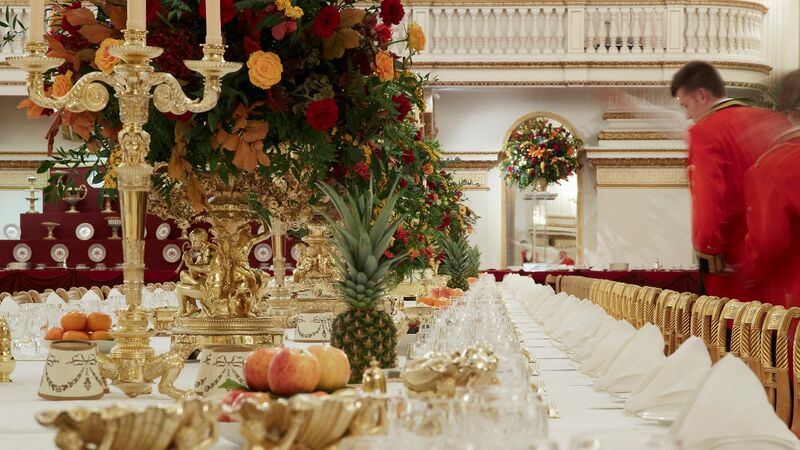 And so you are invited to view the displays throughout the State Rooms which recreate the settings for these occasions, including the Palace Ballroom, which is transformed for a State Banquet with glittering silver-gilt from George IV’s Grand Service. For the first time ever, visitors to the Summer Opening will enter the State Rooms through the Grand Entrance, used by those who come to the Palace at the invitation of The Queen, including Heads of State and Prime Ministers. The Palace opens from July 27th until 27th September 2015. Adults are priced at £20.50, for more visit www.royalcollection.org.uk.